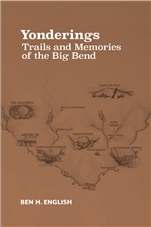 The Big Bend: A History of the Last Texas Frontier by Ron Tyler. Since it first appeared in print twenty years ago, Ron C. Tyler's The Big Bend: A History of the Last Texas Frontier has become a classic. Not only does it tell the fascinating social and economic history of the region from the time of the Spanish explorers through its designation as a national park in the 1970s, but it also serves as an interesting background guide to this increasingly popular region. 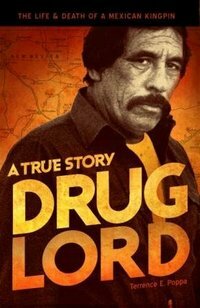 Tyler covers four centuries of human society in the Big Bend in this award-winning book. Archaeological evidence of Indian inhabitants provides clues to their unwritten history in the Big Bend, but Spanish explorers recognized no living trace of them and simply called the land el despoblado, the uninhabited land. In the centuries that followed, U.S. Army mapping and surveying teams entered the region. A colorful array of miners, ranchers, and even bandits sought freedom and livelihoods in the remote canyons of this region so deeply involved in the destinies of both Mexico and the United States. 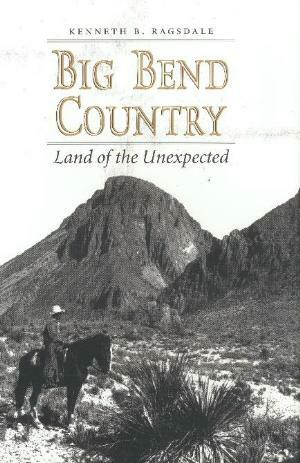 A full chapter is devoted to the creation of Big Bend National Park, which was finally dedicated in 1955, thanks in large part to the quiet but unrelenting efforts of a simple cowboy named Everett Ewing Townsend, who wanted to preserve what was left of the Texas wilderness. Written in engaging narrative prose, The Big Bend might be considered the last word on the last Texas frontier. It would also be perfect reading material for a road trip to the most remote corner of the contiguous United States. Texas A&M Press. 5 3/4" x 8 1/4" softcover. 286 pages. 1975.